We apologize that due to a technical issue we will not be able to post a new chapter of Beneath the Surface this week. Check back next week for Chapter Four. Israel Book Shop presents Chapter 3 of a new online serial novel, Beneath the Surface, by Esther Rapaport. Check back for a new chapter every Thursday or Friday. Click here for previous chapters. Dan was surprised to hear his mother’s footsteps. If not for the silly virus that he had contracted, at the busiest time—the end of the semester—he would have been at the university instead of bundled up under two blankets and sipping countless cups of Chinese herbal tea that his devoted mother prepared for him. At least today he was feeling a bit better. “Meanwhile, if you’re bored, you can take this.” His mother proffered the open envelope that was on top of the sheaf of papers in her hand. 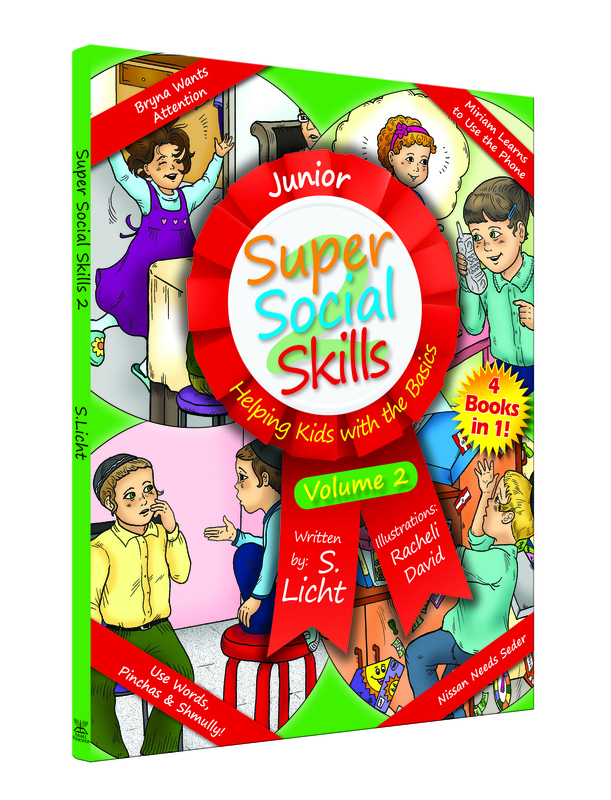 JUST RELEASED – Super Social Skills VOL 2! It’s a known fact that many kids need help learning social skills. In fact, it’s quite normal. Kids are not born knowing the appropriate ways to behave around others, and oftentimes they have a hard time picking up the social cues as they grow older, too. As with any skill that we don’t expect our kids to automatically just “know,” social skills very often need to be taught to children. And what better way to do that than with Mrs. Simi Licht’s newest Super Social Skills book? As with her first book, Mrs. Licht comes armed with four new, adorable, real-life characters, all of whom need help with specific social skills. By reading their stories to your kids, you can actively walk your kids through the process of learning appropriate social skills. Whether your child needs to learn how to organize himself, or the proper way to express his feelings and opinions, Super Social Skills Vol. 2 has the ability to teach him these skills, and in such a fun way, too! So, go ahead and buy your child—and yourself—a gift you’ll both love: Super Social Skills Vol. 2. Israel Book Shop presents Chapter 2 of a new online serial novel, Beneath the Surface, by Esther Rapaport. Check back for a new chapter every Thursday or Friday. Click here for previous chapters. Chani’s coffee cup was almost empty, yet she continued—absently—to stir the dregs of the pale liquid. The slamming of the door shook her out of her tranquil musings. “Simi?” she called out. Simi was the only one who could be coming in now. Yitzi and Yehudis, usually the first ones to come in, were home already. Shragi was in yeshivah, and Gershon wasn’t expected home for some time yet. Yes, it was Simi. The tall girl entered the dining room, and the creases that wreathed her forehead indicated that she was angry. Furious, actually. “And what did you do?” Chani asked quietly, motioning for her daughter to lower her voice as well. Faigy, one of the girls who volunteered to work with Yehudis, was in the house. True, the room she and Yehudis were working in was on the other side of the apartment, but loud voices would probably still carry. Just Released – Go Bananas! Teens. You gotta love them. Sometimes you think they’re their own brand of creatures with their own lingo (“Whatever.”), their own set of etiquette rules (“You can’t wear the same outfit more than twice in one month.” “Why not?” “Because…because then you’ll be the biggest neb!” “Neb? What’s that?” “Whatever.”), and their own opinions, especially when it comes to what’s “in” and what’s “out.” But contrary to public opinion, teens are not “out to get you”; they’re simply at a stage where they’re trying to find themselves and you, as their parents, may just happen to “be in their way” at the moment, which is why you feel that you are getting the brunt of their teenage-itis symptoms. 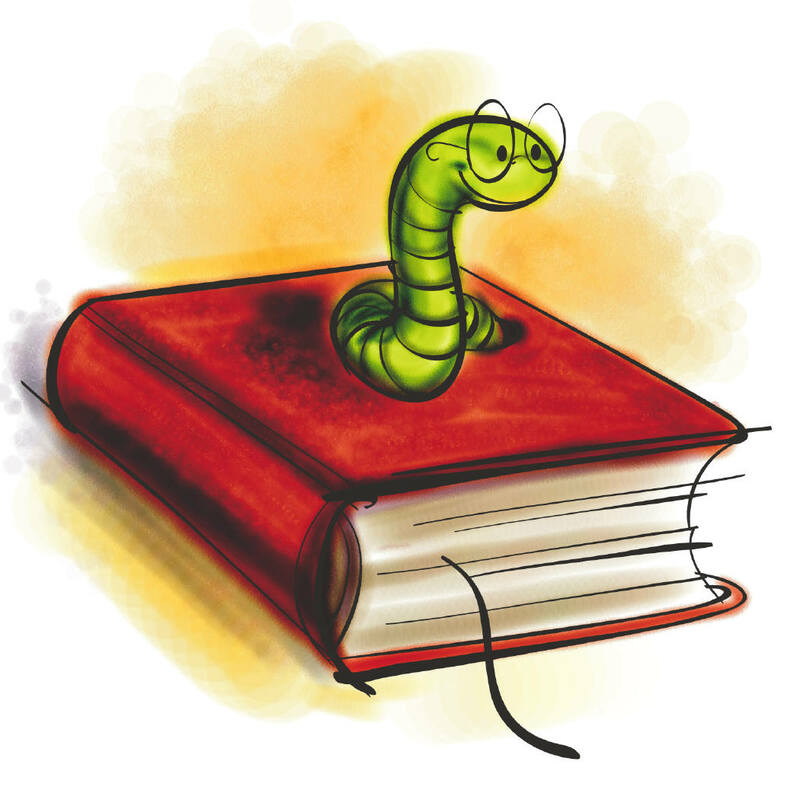 In any case, for all those who are wondering when Israel Bookshop blog-writers became parenting experts, the point of all of this is simply to point out that being that teens are their own breed of people in so many ways, they deserve their own breed of literature. And that is where Bracha Goykadosh and her latest book, Go Bananas and other stories, come in. As her many fans will readily attest, Bracha Goykadosh is the writer when it comes to teens. She has a unique way of writing that talks straight to a teenager’s heart. Is it the way she delves so skillfully into the minds of teenagers, exploring their thoughts and emotions in such an honest, realistic way? Is it perhaps the themes she chooses to write about—subjects that are close to the heart of every junior-high- and high-school-aged kid? Whatever it is, there is a good reason why Bracha Goykadosh is such a popular writer for teens in so many magazines and publications. 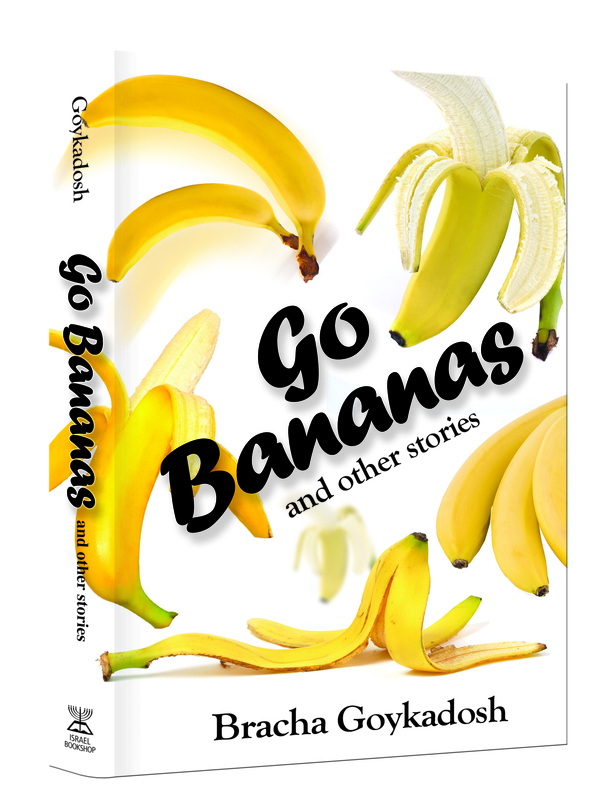 Go Bananas and other stories is a collection of more than twenty-five of Bracha Goykadosh’s best stories. You will relate to the characters in this book—kids and teens of all ages and stages—as well as to their personal struggles and challenges. You will share their hopes and fears, and cheer for them when they triumph. Go Bananas and other stories is an excellent way to show your appreciation to those special teens in your life. If you are looking for a gift that they will go bananas over, this is the book you want to buy. Israel Book Shop presents Chapter 1 of a new online serial novel, Beneath the Surface, by Esther Rapaport. Check back for a new chapter every Thursday or Friday. Two o’clock p.m. The ringing phone cut into the baby’s loud wails. The young woman hurried to the phone. “Yes, of course,” Chagit replied as she jiggled the baby in her arms. “Is everything okay, Chagit?” her husband asked. “Not at all. They’re not interested. How do people do this?” Chagit was irritated. She was sure that this time, her idea had been right on the mark! This mother thought far too highly of herself. So what if she had a top boy? Had she forgotten her background?